What can we do for Jesus? 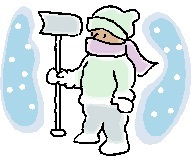 If anybody would like to serve by helping with snow removal at MBC, please contact the church. Thank you.